She got me at the beginning with the sheer beauty of that sentence and never let go. 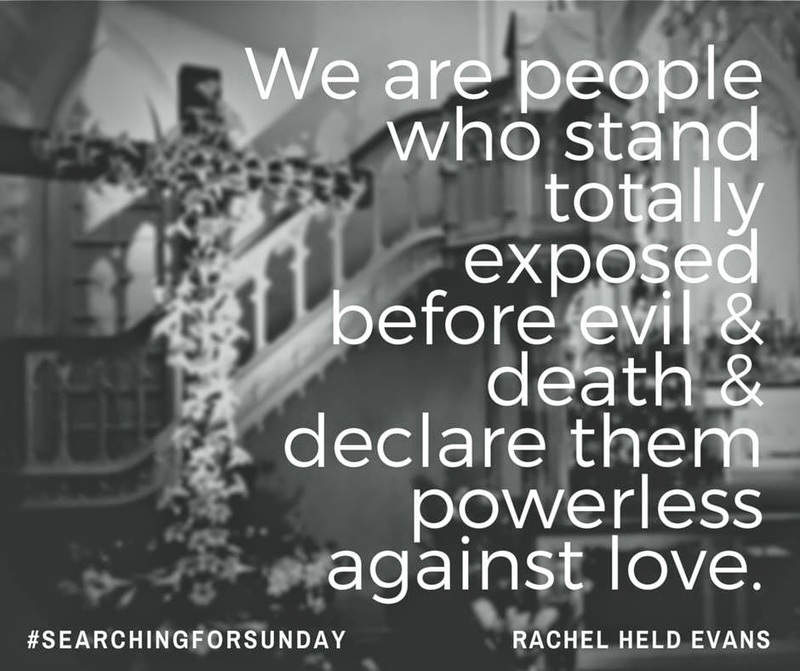 Rachel Held Evans, in her new book Searching for Sunday(out today), calls the church to regain its sacredness, passion, and yes, even its weirdness. As an evangelical who dearly loves my tradition and (usually) its people but has her eyes wide open to its harmful aspects, I breathed this book in. I live her frustrations and her passions about the church. I don’t always agree with Ms. Evans. But I always love her humor, her willingness to “go there” on tough issues, and her heart for God. This book is no exception. This book is above all a call to listen to, respect, forgive, and love beyond all of our abilities and even preferences for the greater reason that there is a Kingdom at stake, and we are spending too much of our time arguing over who should be in it and far too little making it look like Jesus. We spend a lot of energy, time, and research in pinpointing why younger generations are leaving the evangelical church. I know I do. 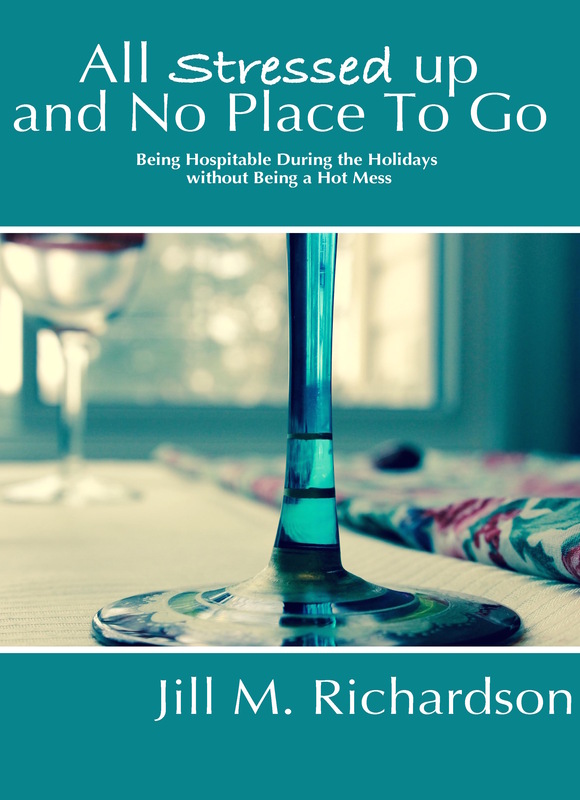 It’s a writing project I’m working on now, plus a topic dear to me as the mother of three in that generation and a former high school teacher with an unaccountable enjoyment of young adults. Yet the church tends to get defensive whenever someone actually tells them the truth about they ‘whys’ we wring our hands over. Ms. Evans tells the truth. Her voice speaks for thousands who are feeling the same doubts, concerns, and fears but who simply leave without voicing them. Of course, “simply” is a poor word choice, because that decision is often anguished, never simple. “I was recently asked to explain to three thousand evangelical youth workers gathered together for a conference in Nashville, Tennessee, why millennials like me are leaving the church. I told them we’re tired of the culture wars, tired of Christianity getting entangled with party politics and power. Millennials want to be known for what we’re for, I said, not just what we’re against. We don’t want to choose between science and religion or between our intellectual integrity and our faith. Instead, we long for our churches to be safe places to doubt, to ask questions, and to tell the truth, even when it’s uncomfortable. We want to talk about the tough stuff—biblical interpretation, religious pluralism, sexuality, racial reconciliation, and social justice—but without predetermined conclusions or simplistic answers. We want to bring our whole selves through the church doors, without leaving our hearts and minds behind, without wearing a mask. To flesh this out, she discerns our sacred need through themes such as baptism, communion, confession, and marriage. In each section, she poetically, theologically, and compassionately examines why we find these sacraments meaningful. What attracts Christians through the millennia to these same rites, these same words, these marks of Christ in life? And how can we come to them trying to bring reconciliation and renewal to a church that desperately needs to see and hear those who don’t feel welcome in its doors? In the chapters on baptism, for example, I love the bottom line truth of what it stands for that we can and should all agree on, whether or not we agree on dunking, sprinkling, or just about anything else. “Baptism declares that God is in the business of bringing dead things back to life, so if you want in on God’s business, you better prepare to follow God to all the rock-bottom, scorched-earth, dead- on-arrival corners of this world—including those in your own heart—because that’s where God works, that’s where God gardens. In the ritual of baptism, our ancestors acted out the bizarre truth of the Christian identity: We are people who stand totally exposed before evil and death and declare them powerless against love. The book is a cry to the church to stop trying to fix people or give them checklists to make them ‘OK’ before God (and more importantly, before us). It’s a call to come beside people and hear their faith cries. It’s a passionate request to be with God being with people, not over them. 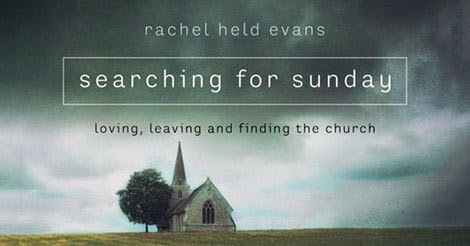 Searching for Sunday should be read by anyone in ministry, and there are many definitions of that, whether or not the reader is an Evans fan. In fact, I’d say especially if not. If a person truly wants to be a minister, he or she needs to delve into the truths of how the next generation (and many above it) are feeling about church and all its baggage. We dare not ignore the warnings that people are giving up on the institutional church (and their faith). We cannot pretend the reasons behind it have no basis – not if we say we are people of the Word who speak and believe the Word. We need to have the courage to listen. Searching for Sunday is an informative and beautiful step in doing that. I have been privileged to be on the launch team for Searching for Sunday, and I am lucky enough to have read its words before everyone else. But now — you no longer have to wait.